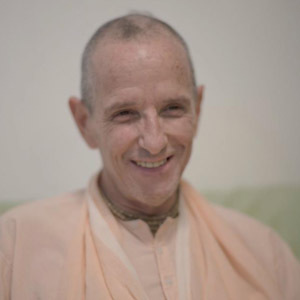 Tuesday evening at 6 pm there will be a special program in the Santa Cruz temple to honor Sripad Bhakti Sharan Vaishnava Maharaj, formerly Srutasrava Prabhu. He spent a great deal of time with our divine master, Srila Bhakti Sundar Govinda Dev-Goswami Maharaj. He was widely respected for his preaching and for kindly encouraging others in devotional service. Join us for arotik at 6 pm followed by discussion, kirtan, and prasadam.